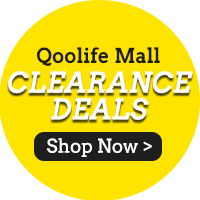 「Qoolife Mall」- [HLGK] PaddyKing - 5KG/10KG THAI FRAGRANT RICE!| QUALITY RICE! 美津浓[HLGK] PaddyKing - 5KG/10KG THAI FRAGRANT RICE!| QUALITY RICE! Multiple order and this time is packed in the carton box. High recommended. Fast delivery n was safely pack in a box . So heavy tat the delivery man help to carry in house . Thanks seller , thumbs up for thef friendly delivery man. Happy purchase, will try the product n feed back agn. Hi for the 5Kg item will it be restock any time soon during the group buy?